﻿﻿ Digital Service Management (DSM), is it something new? The term Digital Service Management (DSM) has become a buzz word in the recent period, and it arose in alignment with latest trends like cloud technologies, IoT, BYOD, DevOps, digital workplace, etc. The idea advocates the digitization of services so that businesses can survive and compete in a world that's becoming more and more digital and virtual. Along with that came the concern of management of this new form of services. Since IT has always used to provide traditional services hosted and provided internally, now with everything becoming digital and mobile with virtualization of assets and resources, what new considerations will face service management that IT needs to pay attention to? Thinking architectural wise, by separation of the technology layer from the business and management layer, we can see that management practices are like abstract classes that can be instantiated to cope with any kind of underlying technology. Concepts and practices will remain applicable and valid, while 'how' they are applied is as always customizable and tailored to the specific requirements mandated by the adopted technologies underlying services being provided. Moreover, digital services can be considered as a sort of managed or hosted services, whether provided by the IT unit to the business, or provided by an external supplier to the IT unit to channel to the business. By reducing digital/hosted services to the form of managed services, they can be continued from here. 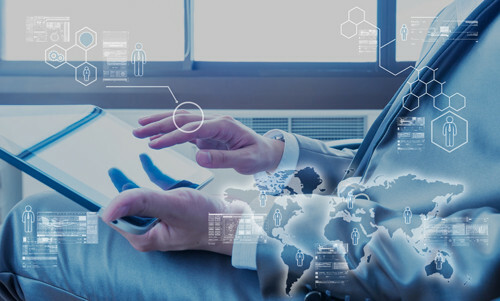 Concerns like security of BYOD, continuity and availability of cloud, reliability of digital services, etc., are all technical implementation details that will come to question when developing your own methodology for IT Service Management in light of commonly accepted best practices applicable to your own organization. The same mindset of focus on the business needs will help making it easy for the IT to cope with technological evolutions, and IT is agile enough to reshape itself to accommodate with the new set of requirements, by looking from the business viewpoint and understanding their concerns as stakeholders, to finally keep on meeting the business expectations. Digital technologies even enable the IT unit to have more intelligence on trends and data analysis to be more able to support business objectives. Major points of attention relevant to this subject would be supplier/contract management, capacity management, and security management. The scope of business support is wider and more pervasive in digital environments where IT holds more responsibilities as a digital enabler. Finally, in my opinion, it's not a new wave of ITSM, it's a new form of delivery using different technology, changes in the technology layer not in management concepts. Posted on Dec. 24, 2016 by 'Rania Al-Maghraby' in 'Comments and Opinions'. Viewed 790 times. 0 comments. Check Related Posts.